Photo courtesy of Hobby Prodigy. “Game of Thrones” fever is hotter than a Valyrian barbecue. To celebrate the return of the HBO series, here are seven events – one for each of the kingdoms – that make Pittsburgh seem more like Westeros. Watch aht for dragons n’at. Game of Thrones Pittsburgh Dance Party at Jergel’s Rhythm Grille, Warrendale, UPDATE: Postponed until June 20. Lords and ladies can dance the Long Night away at Jergel’s. Snap a selfie on the Iron Throne, chow down in the Great Hall, sip a Tyrion-approved cocktail, play trivia and enter the costume contest for a chance to win money (U.S. currency, not Westeros.) For early bird ticket holders, the door opens at 5 p.m. Hodor! Photo courtesy of Chantal’s Specialty Cheese Shop. Chantal’s first anniversary coincides with the show’s final season premiere, so they’ve turned their Penn Avenue storefront into a fromage fortress. Stock up on snacks for your viewing party, sample Goat Rodeo Farm & Dairy products and enter a raffle to win one of three dragon’s eggs. The event runs Saturday and Sunday from 11 a.m. to 2 p.m. Make like Brienne of Tarth and cut the cheese with a sword. Photo courtesy of Yoga Flow. Bend the knee … and other parts of your body at Yoga Flow’s Shadyside studio. In this Game of Thrones-themed workshop, you’ll contort into different character poses (downward-facing direwolf, perhaps?) as “The Rains of Castamere” plays. The session is from 7 to 9 p.m. Tickets are $20 and costumes are optional. Photo courtesy of Quantum Spirits. Did your favorite character get killed off? Drown your sorrows in craft spirits from 3 to 4:30 p.m. The Main Street microdistillery will teach you how to mix magical potions with their vodka, gin and whiskey … and then you get to drink them. Because that’s what you do: You drink and you know things. Two full cocktails, recipes and snacks are included in the ticket price. If you’re craftier than Littlefinger, head to Hobby Prodigy for an afternoon of arts and snacks. There will be treats from My Favorite Sweet Shoppe, pop culture merchandise from BoxLunch and an Iron Throne photo op. Crafts include Tyrion Lannister cement shot glasses, dragon eggs in a decorative chest, a Dinner is Coming cutting board and other geeky projects. The ticketed event starts at 1 p.m. and is for fans age five and over. Costumes are encouraged (no masks in the mall though, even if you are Ser Robert Strong). Photo courtesy of Bar 3. 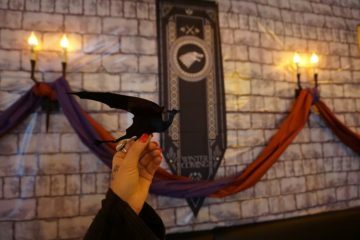 Bar 3 is honoring the Seven Kingdoms with a Game of Thrones pop-up on its second floor. The empire opens daily at 3 p.m. from April 11-14. Enjoy trivia, themed cocktails and watch episodes on the 100-inch TV. In addition, you can dress like Jon Snow and Daenerys Targaryen and take a seat on the Iron Throne. 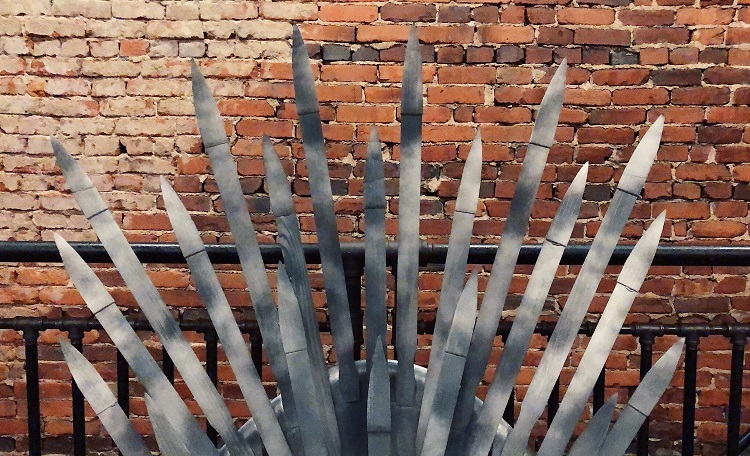 Channel your inner-Bronn and go on a (bar) Crawl of Thrones down East Carson Street. A ticket gets you lots of goodies, including a color-changing cup and discounts on food and beverages. Videographers and photographers will capture the bash that’s sure to be more fun than The Red Wedding. Still mad for more George R. R. Martin? Go to Market Square. Bar of Thrones, a Game of Thrones pop-up, opens daily at 4 p.m. through the end of May. Thanks to NEXTpittsburgh, now you know something.